For the sake of the environment, our truck wash operates with a recovery system of wastewater. With regard to the used detergents, we highly pay attention to not polluting the environment. 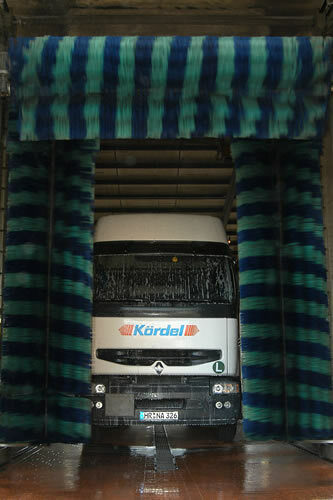 Our truck wash is available from Monday to Friday from 8am to 6pm. It is also possible to use the washing system at another time after telephone consultation. Please contact 0049-5665-948-210 for additional information.